Financial markets are the function of swells and shrinkages in buyers and leverage, brought about principally by demographics and sunspot cycles, additionally with the latter influencing the former. The big theme in demographics over the last half century has been that the major nations have largely experienced similar swells and shrinkages in key age groups due to the post WW2 baby boom. As a swell of young adults they produced inflation in the 60s and 70s, which then turned into a middle-aged swell producing stock market and real estate booms post 1980. This chart shows the ratio of middle-aged to all population in the major nations. This ratio experienced a major peak in each of the countries between 1989 and 2011 producing the according stock market and commodity major peaks. First Japan’s demographics peaked out, producing the Nikkei and Japanese real estate tops. Then the US peaked in 2000 with the resultant biggest ever stock market mania. Next UK and Germany peaked out with the 2007 stock market and real estate peak. Finally, China peaked out and as the world’s biggest consumer of commodities, the commodities index accordingly delivered a major top. Since then demographics are united in a downtrend, which is the main reason why 6 years post financial crisis we still have ZIRP, QE and easing as the dominant central bank policies worldwide, and why the world economy is under such deflationary and recessionary pressures. Ultra low rates helped give rise to the stock market mania of 2013-2015, but otherwise we have to turn to solar cycles not demographics for the driver. Each of the sunspot maxima in the era of globalised, free markets produced a peak speculative mania. 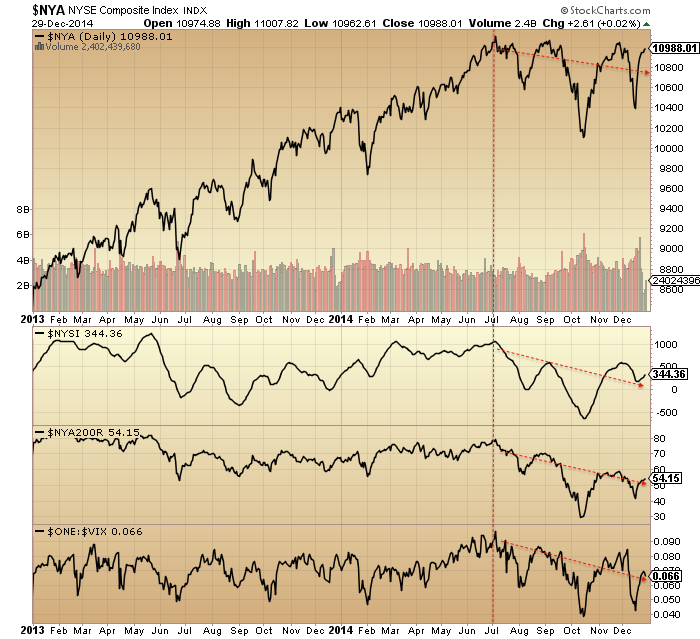 Between July 2014 and May 2015 we saw commodities, junk bonds, leverage, breadth and stocks peak out, following the smoothed solar max of April 2014. That lag is not dissimilar to that in 1929: a slight overthrow beyond the solar max. In both instances breadth peaked out at the same time as the solar max but nominal stock prices didn’t top out until a year later. Drawing on Q ratio valuation for the big picture we can see that solar maxima typically produced high extremes in valuation which then mean reverted. Meanwhile, low extremes corresponded to major commodity or gold peaks. If I was to narrow the projection a little further, then the solar minimum of around 2018-19 is likely to mark the first major bottom within that. That means a bear from now of around 3 years, similar to those historic cases above. After that stocks ought to continue to languish, perhaps sideways Japan-1990s-style, whilst gold rises to dizzying heights to a peak circa 2025. But that time frame is a little to long to be anything more than speculative, so let’s keep the focus on the first major cyclical move, which I consider to be a bear from May this year to last some time and take valuations sub-mean. The question mark is over central bank response. They won’t stand by and watch this occur but are likely to turn to increasingly unorthodox measures. The reason demographics and solar cycles work is because the markets are globalised, free, instant voting machines that therefore capture major collective trends. If central banks ban shorting, restrict capital flows out of the country, penalise people for not investing in government bonds, penalise savings, or other such policies then the markets environment will become more distorted and we will have to adjust accordingly. So far, however, central bank distortive measures haven’t been able to override the collective demographic trends, as evidenced here in global inflation and economic trade. All that stands between outright global deflation and recession is the wealth effect of the stock market. So let’s turn to that. 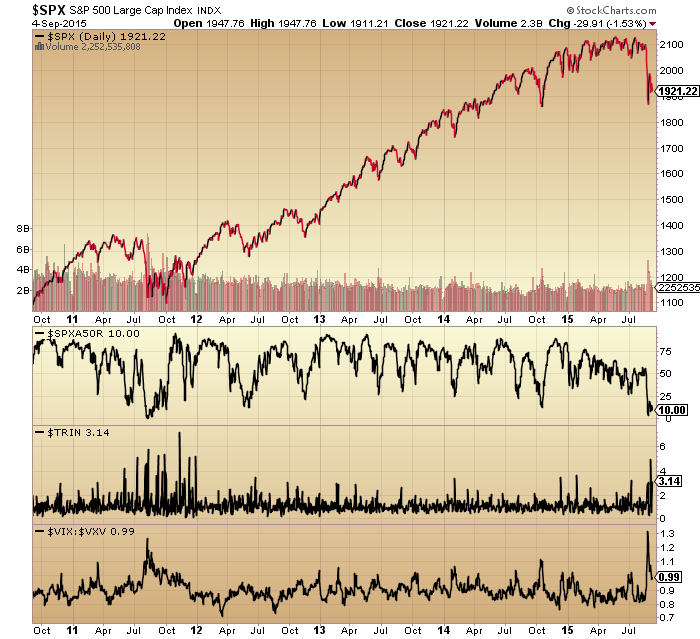 In 2014 we saw around 40 different topping indicators aggregate in the US stock market. 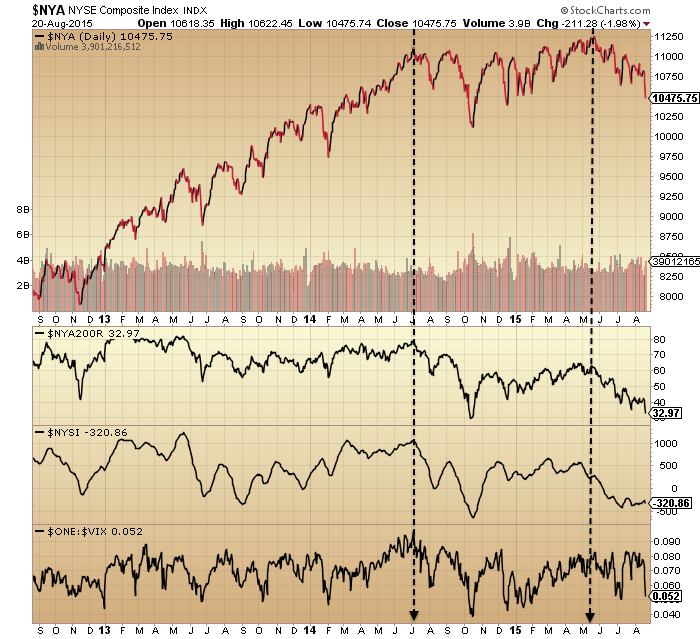 From mid-2014 we saw multiple divergences in breadth and risk, whilst commodities and emerging markets broke down. In 2015 developed nation stock prices arched over, topped in May and snapped in August. Now, we see washout levels in commodities, emerging markets and various stock market measures such as sentiment, breadth and risk. In the big picture, US stock market valuations have declined from their peak but are still highly levitated. II sentiment and Rydex allocations either show a major unrepairable pop of the stock market bubble, or a healthy washout from which stocks can now in due course resume bullishly. It’s clear that the mania or the last 2 years depicted in these two indicators is about as crazy as it gets and odds are much higher that that recent bursting of the bubble is likely to have ushered in a period of mean reversion. Effectively it has broken the collective complacency and the record leverage deployed in the markets is now likely to shy away from its peak. Without the demographic tailwind, leverage has been the main fuel for this bull, through both margin debt and buybacks-via-borrowing. Regarding buybacks, this fuel source is likely to continue through the end of this year as companies execute their purchase plans. We can see how something similar transpired in 2007. At some point, the leverage in the system will unwind in a disorderly way, producing a crash. What I am wondering is whether this may occur again once both buybacks and margin debt are declining in a more united way together (like in 2008), which would likely be once 2016 hits. Just speculation. In the meantime, the August breakdown in stocks has likely done enough damage to cement the bear and kick off the negative feedback looping that will produce escalating trouble from here on. ECRI leading indicators and Bloomberg financial conditions have both slipped negative. Prices are consolidating after the August drop. 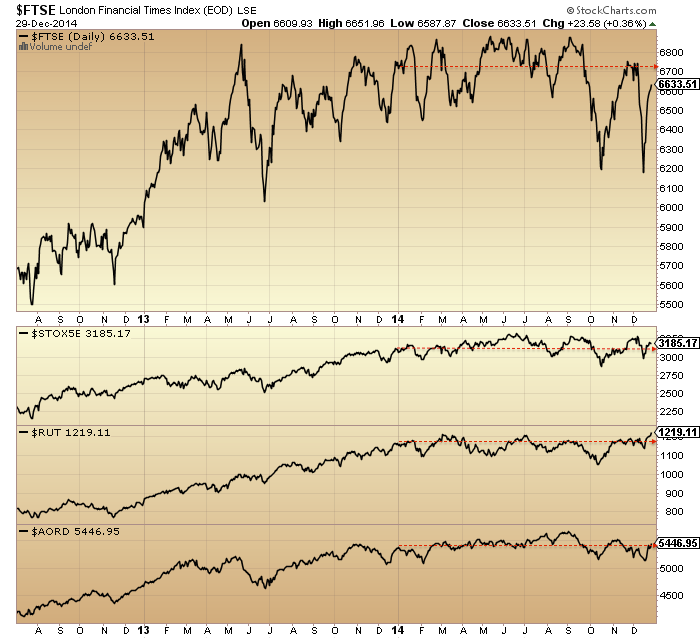 Breadth, Trin and volatility show similar washout readings to 2011. Nonetheless, the historic pattern is that stocks ought to retest the August lows and at that point bulls should be looking for positive divergences. An absence thereof likely spells lower prices which in turn increases the odds we are in a bear market. If we are in a bear market then this doesn’t prevent ripping rallies. In fact they are common. What’s important is to see a pattern of lower highs and lower lows. So, should we push upwards from the current oversold/overbearish short term readings then we should stop short of the August breakdown point. Should we break downwards we should take out the October low and initiate the lower low pattern. On a longer term view, the bear market should very gradually eliminate the dip buyers, until all hope is truly lost. My tactics then are: hold short (Biotech, R2K, Dow), add short if we go higher, wait for August lows retest, check for positive divergences and bottoming pattern to judge whether to take profits. Cross market to gold, I am long and holding, looking for gold to cement its higher low than July and build out its rally. 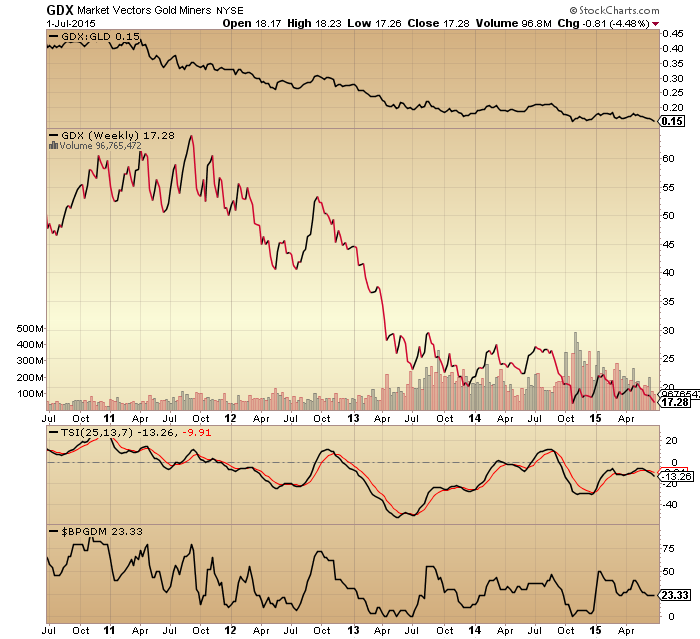 Were gold to break down to new lows, then it would be a warning. Lastly, a note on washed out emerging market stocks and non-precious metal commodities. Oil has dropped from $100 to sub $40 in a short time and emerging market equity valuations are historically very low. Are they a buy? 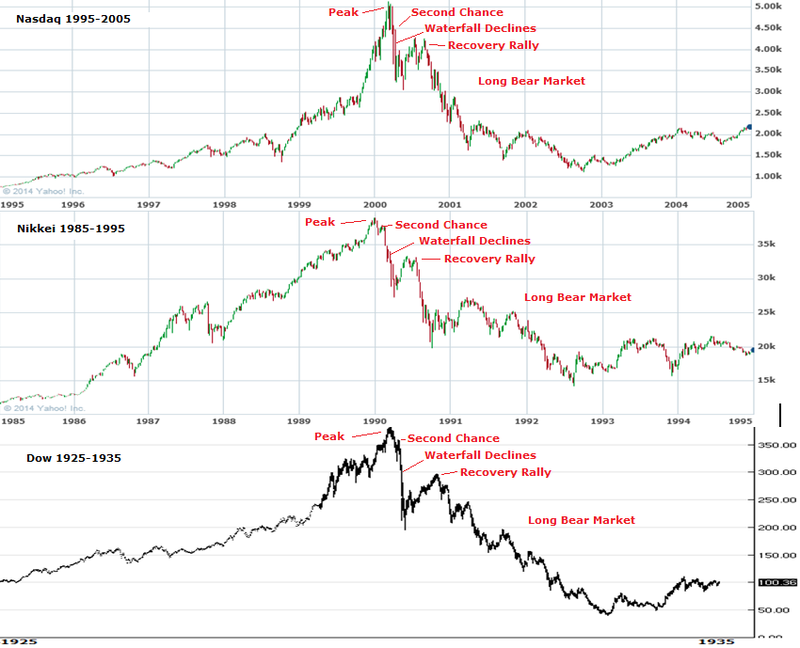 My perspective is that we have experienced something similar to 2006-8 whereby markets crumbled in order. Then, real estate fell first, then equities then commodities. 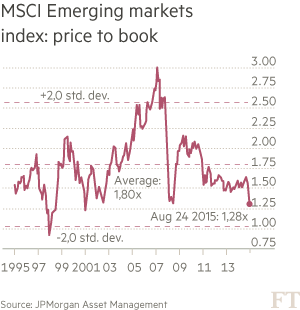 This time, commodities and emerging markets fell earlier than developed equities. When developed equities have eventually truly washed out then there may be attractive risk-reward on emerging and commodities. But between now and then I expect a bear market and global recession, which would keep the pressure on both asset classes. Testing several key theories here real time, it’s been a slow process, but patience is being rewarded. Is it really a surprise? They actions amounted to entering numbers into a computer, corrupting the money mechanism and then trying to deceive the public with carefully chosen words that all is well with the economy. But that massively increased debt is real, and the plan to withdraw it gradually once the economy is booming again looks to be a pipe dream. So what do they do now? Having spent so much, they can’t admit failure and won’t give up. Expect more action and more unorthodox policies, but based on the evidence they won’t be able to stop demographics. 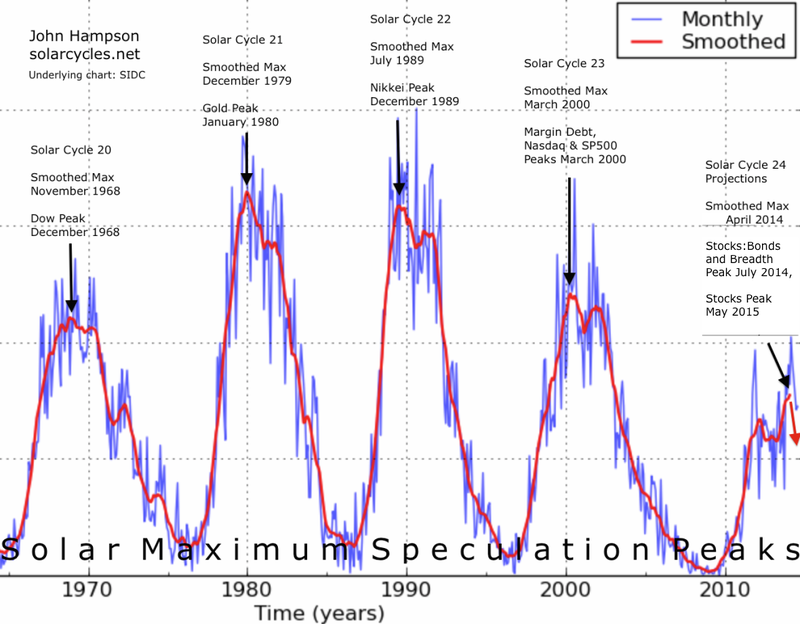 Secondly, that solar maxima bring about speculative peaks. As we hit the solar max of mid-2014, we saw a wide range of mania attributes in equities: valuations, sentiment, allocations, leverage, and more. What has been missing is the definitive puncture of the mania post solar max. But under the hood there has been a lot of evidence that speculation did indeed peak out then, such as in stocks:bonds, stocks:dollar and financial conditions. Only if those ratios/indices made new highs since, would invalidation become more compelling. But a year later, they still haven’t and remain in downtrends. That mid-2014 peak also shows among many more charts, along with a second important peak around May this year. Here, the Dow Jones World stock index (with a strength negative divergence between the two peaks), junk bonds and crude oil. 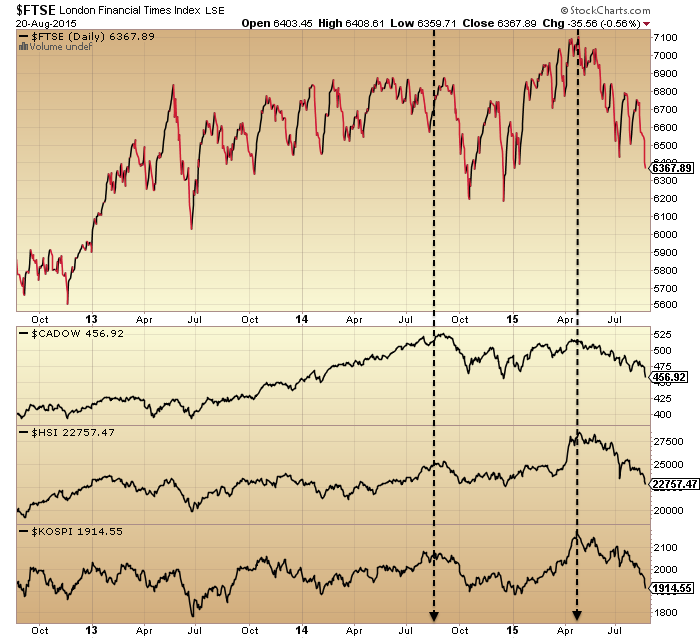 Next, the NYSE index, with negative divergences in breadth and volatility (inverted) between the two key peaks. And here, a bunch of major country stock indices from around the world, showing similar twin peaks. We see mainly a higher secondary peak in nominal prices, but this is not atypical historically. In 2007 we experienced a higher high in October after the first peak in July, with multiple telltale negative divergences between the two. What’s challenging is that every top is different. The duration between the two peaks in 2014 and 2015 has been a long 10 months, fooling many bears and bulls in the process. In 2000, it was just 5 months between March and August. Yet we see similar hallmarks: degradation in internals, environment and risk appetite between the two. The situation remains tentative of course. We can’t say for sure that stocks won’t rally back up to new highs. But the sideways price range of 2015 is now breaking to to the downside, and either it has been the arching over of a top, or a pause to refresh the bull. There is a lot of evidence for the former, and very little for the latter. Thirdly, drawing the first two theories together, that ‘central bank policy trumps all’ has been the mantra rather than the driver for this bull market mania. 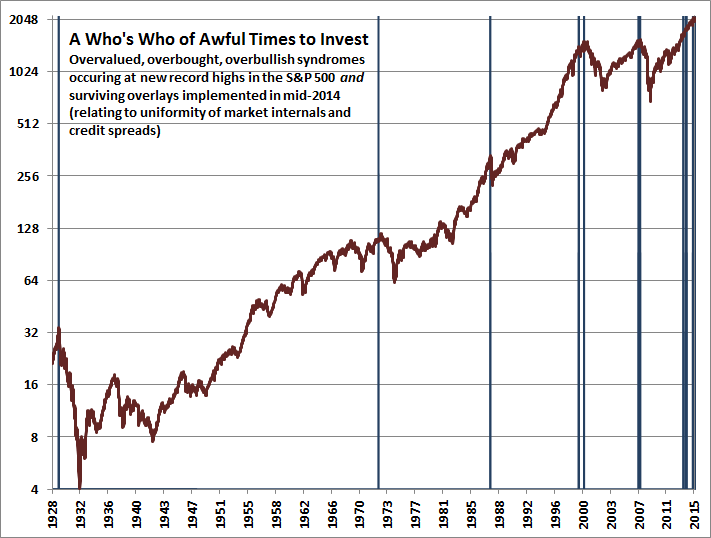 Just like at all other major tops it has been an excuse for excessively high valuations, but one much more readily embraced than that herd behaviour under the sun’s influence brought about the mania. Well, if stocks are now in a bear market, and the evidence argues that we likely are since May, the central bank support idea is about to face a tough challenge. Interest rates are zero or negligible and quantitative easing has been shown to have little positive effect on the economy: central banks are at risk of being shown to be totally impotent. 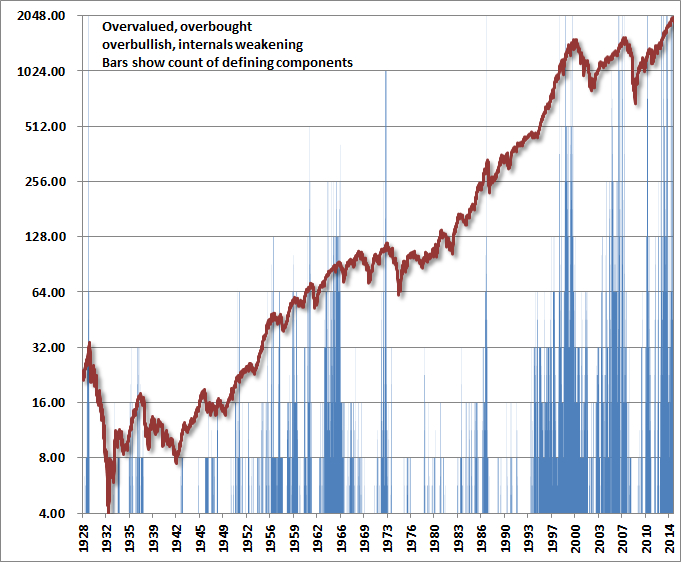 This, together with the record leverage deployed in equities, is the recipe for stocks to fall hard. Panic selling lies ahead at some point, and if we think of equities like Wile E Coyote running off a cliff since the solar max of last year, they have been levitating with no support. I maintain the geomagnetic seasonal down period since June-July into October this year remains the likely window for that swift acceleration to occur, meaning this week’s key technical breaks could be kicking it off. Gold as an investment: not straight forward. It was the original money, valued for its rare, precious and indestructible qualities. 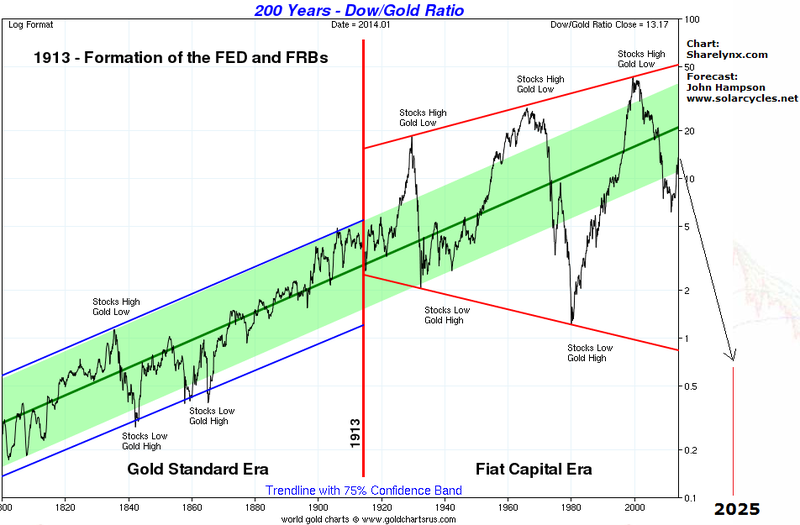 Fiat money then took over, but convertible to gold. Now, fiat money is purely a game of confidence, and gold floats freely. Gold is a non-yielding, non-productive asset so comes into favour (jewellery demand aside) only under specific conditions, namely when real interest rates are negative (which can be under inflation or deflation), when fiat money is being diluted (such as by policies of inflation or money-printing), when debt is growing significantly (as this is money borrowed from the future) or when other assets are in decline (which chiefly occurs due to demographic trends). Right now, real interest rates are borderline negative, public debt is at record levels, QE has been rolled out across the developed world and demographics are united negative (i.e. pro gold) in the major nations. So why isn’t gold going up? 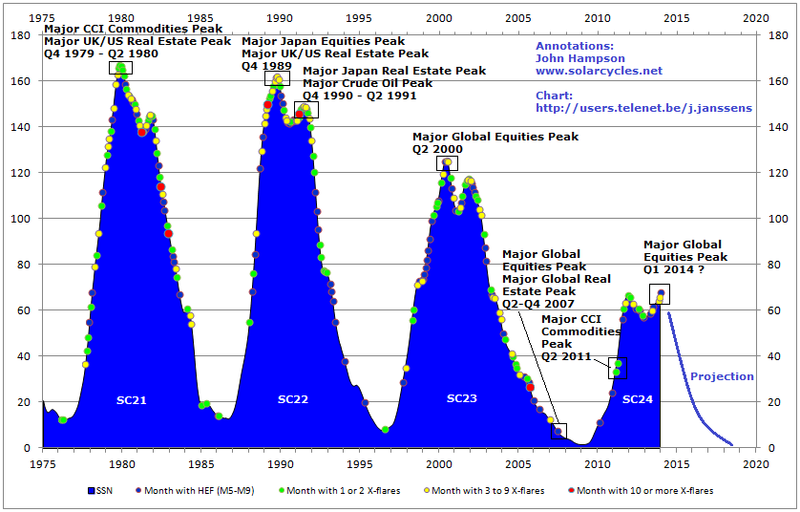 By demographics and solar cycles, gold should be in a secular bull from 2000 through to circa 2025, the next solar max. 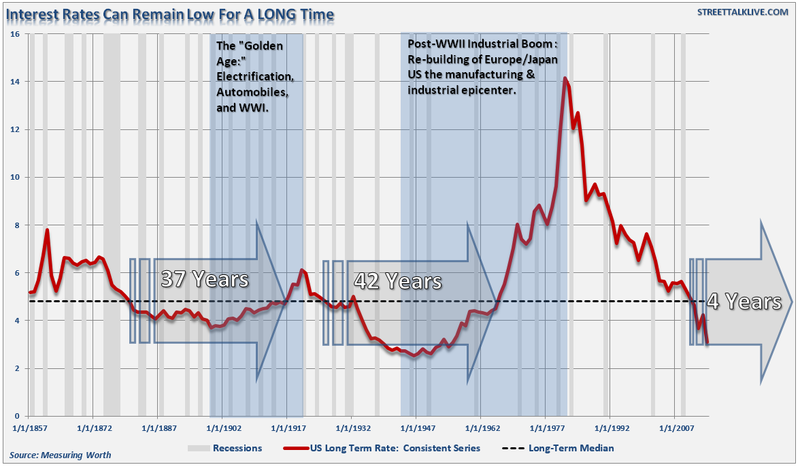 Therefore, gold’s bear market from 2011 to 2015 would be a cyclical bear within an ongoing secular bull, similar to as occurred in the mid-70s. Gold has been making a long basing, as evidenced in the TSI below, over the same period that stocks have been making a topping mania. When stocks start to fall in earnest, then I expect gold to take off, in a new cyclical bull within an ongoing secular bull. A bear market in equities would, through the wealth effect, tip the fragile economy into a deflationary recession, which should then result in negative real rates, additional fiat dilution by central banks, rising nominal debt levels and cash-flow looking for a safe haven. All favourable for gold. However, contrast that with the common perception currently, which is that we are in a young secular bull in equities, with the economy early in the cycle and about to start growing strongly, and a trend of increasingly positive real rates ahead. Once this perception is revealed to be a misunderstanding, then the narrow interest in gold will become much broader. A near term look at gold technicals suggests one more washout to the downside may be needed, as evidenced here in the gold put/call. 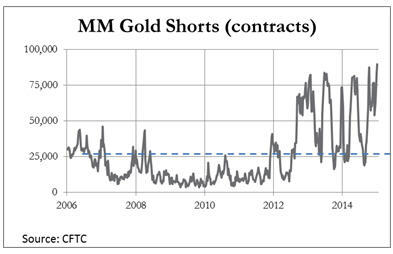 The short interest is already at contrarian levels. I would see this as fitting with a last rally back up in equities into the mid-July new moon (to a lower high), which was predicted by CPCE and Vix/Vxv as highlighted two posts back. I therefore lightened up my equities shorts and gold longs after this week’s full moon. Earnings season starts next week and properly gets going the week after. 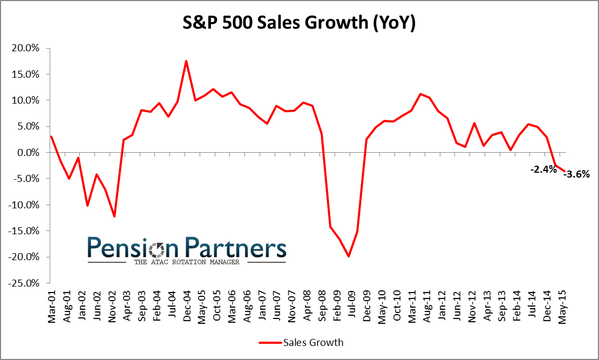 With a predicted 4.5% yoy drop in both earnings and sales for Q2, this provides a backdrop for stocks to topple over from that second week in July, and in turn gold to finally wake up. I believe that point will mark the definitive trend change in both and currently see that as the point of max attack. 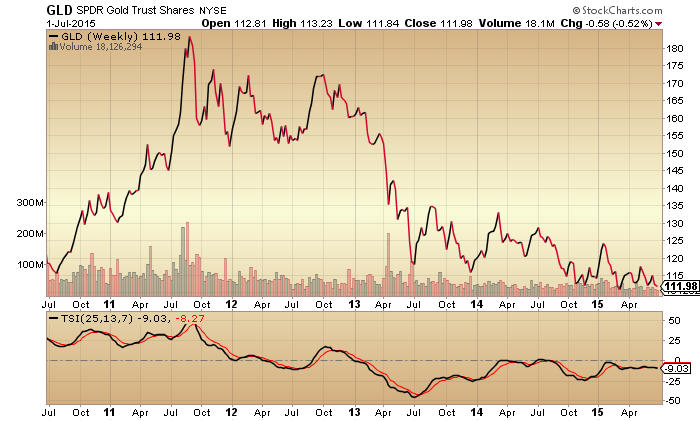 Gold miners sit between the two asset classes: as both equities and tied to gold. In the last 4 years they have very much sided with the latter, declining in the face of a rising stock market. 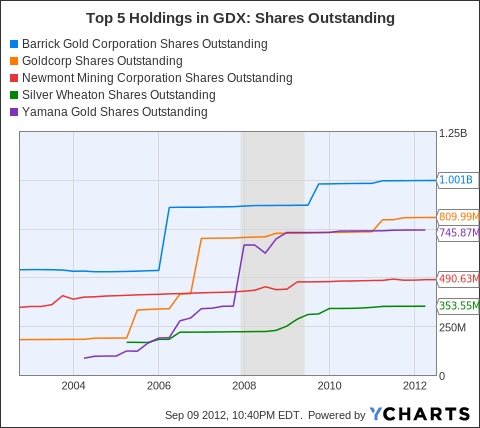 But notably they have performed much worse than gold, as shown in GDX:GLD below. 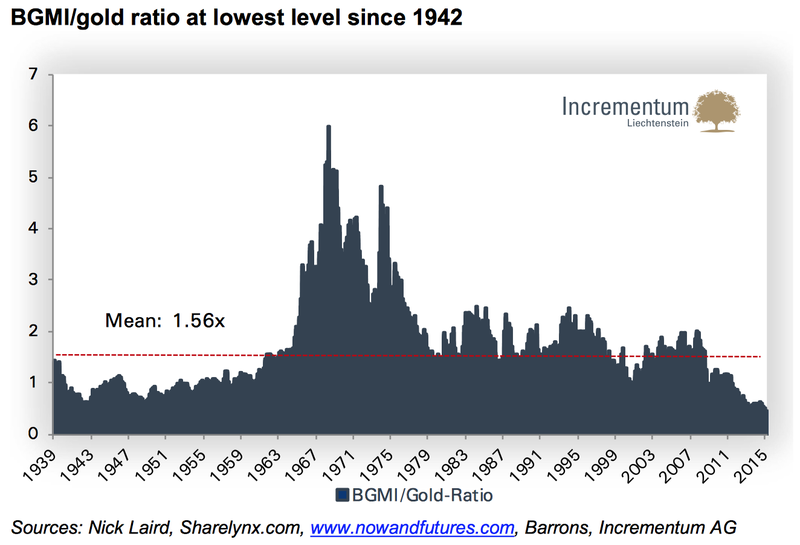 In fact, on the long term view, the miners to gold ratio is the lowest its ever been. However, the major miners have been diluting their shares, making them not the bargain they initially seem. Additionally, there is a question mark over how they might perform under sharp stock market falls. With few historic reference points, we can at best draw on the 1929 experience whereby the gold miners didn’t escape the initial falls but broke away later once the stocks bear was more clearly cemented. For these reasons, I stick with gold itself as the pure play and will pass on the miners. Hat tips to Mark, John Li and Chien Jen. So what’s similar to 1929? A stock market mania to extreme valuations. 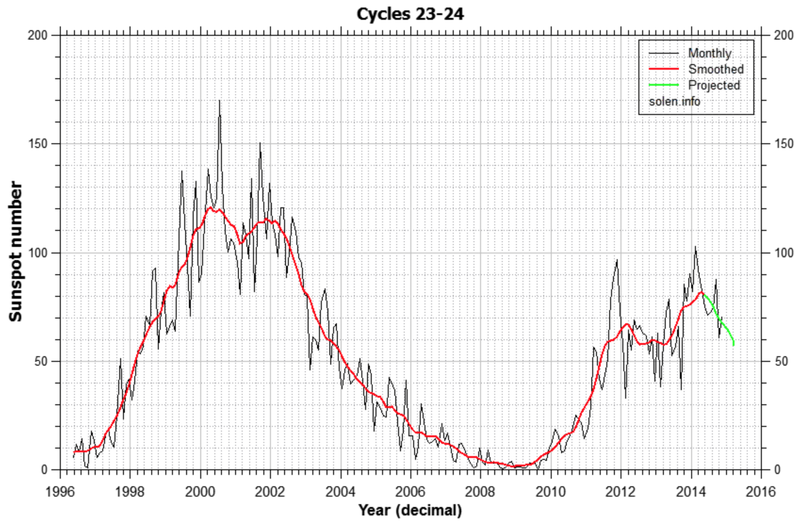 A similar low intensity solar cycle. Stock market breadth peaked very close to the smoothed solar maximum (May 1928 vs April 1928, Mar/Jul 2014 vs April 2014) whilst stock index prices didn’t peak until at least a year later. Maybe stock prices are following a similar technical pattern. The timings within the year fairly closely match too. 1929 began with a range. The final push was June to Sept. Therefore, the onus is on the bulls here to push prices back up into the range and out, to prevent the breakdown from the current position. Economic growth was stronger in the 1920s. The fed funds rate was around 4-5% in 1928/9 versus zero now. 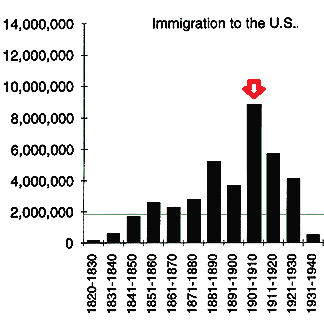 It was a demographic climax produced by peak immigration at the start of the century of the age bracket that would buy the stock market in the 1920s. Leverage reached 12% of GDP by the peak, versus 3% now. All things considered, I believe 1929 has more in common with 2000, which was a demographic climax following strong economic growth with fed funds rate similarly around 5%. Post 1929 we saw the Great Depression, post 2000 the Great Recession, then following both we experienced a valuations-led stock market mania into the next solar max set against easy money conditions. Hence 1937 is a better all round fit to now (see HERE for details). However, what’s common with 1929 is important, specifically that breadth peaked out 16 months before prices, and that is was ultimately leverage that delivered the craziness into the peak. 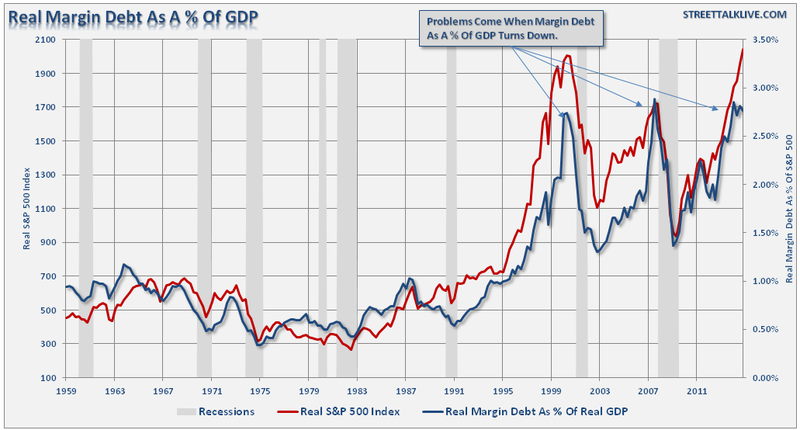 Here in 2015 margin debt is hitting new highs so maybe the game isn’t over yet. There was always a question mark over why prices didn’t peak with the 1928 solar max but made the anomalous extension into 1929. However, now we can see that breadth peaked at the 1928 solar max, like it has at the mid-2014 solar max, so in both cases marking some kind of speculation peak. The majority of other solar maxima delivered peaks in both breadth and prices close to the sunspot peak. Assuming prices peak out within the next several months (and don’t keep going, new secular bull style) then we are again producing that kind of anomaly that we saw in 1929, namely a fairly long period of degrading internals whilst prices continue to levitate or rise. Why? It’s leverage. Saturation levels in sentiment, allocations and valuations have been in place since the start of 2014. 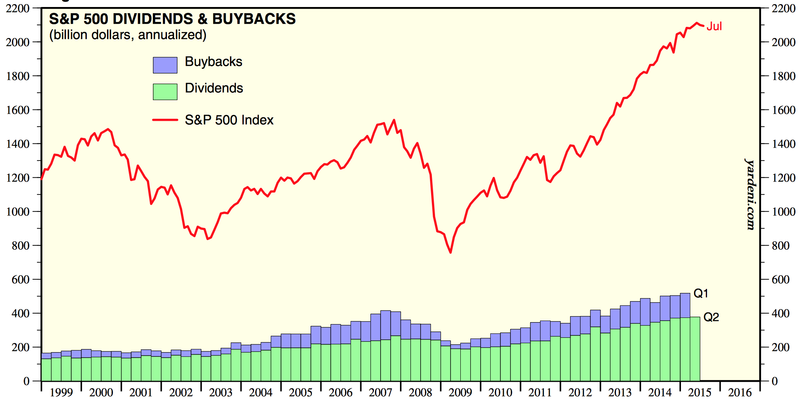 Buybacks were significant for much of last year but now it is leverage which is left holding things up. So what stopped it in 1929? Answer: nothing in particular. One day the market topped out without any notable trigger, like most tops. Ultimately it was a combination of the fuel for higher prices being spent, leverage at unsustainable levels, prices for stocks being fairly unpalatable, and the whole thing having become a ponzi scheme. Then I would argue that the twin downward pressures of post solar max and the geomagnetic seasonal lows of Sept/Oct produced the timing. Which brings us to today. 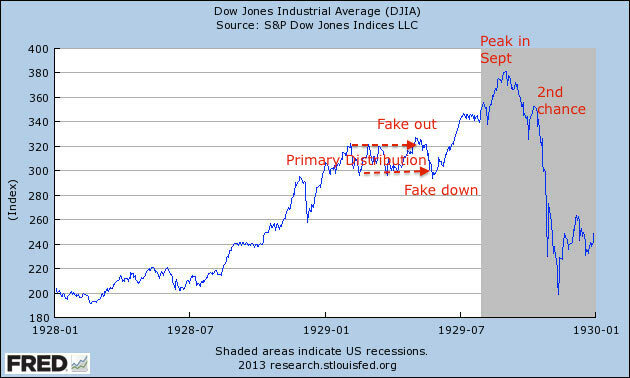 What’s to stop prices making a final major leg up like in June-Sept 1929? Nothing, if leverage can keep rising, and the appetite amongst participants is there. However, that ‘appetite’ is under threat due to our positioning post smoothed solar max and the seasonal downtrend from July to October. 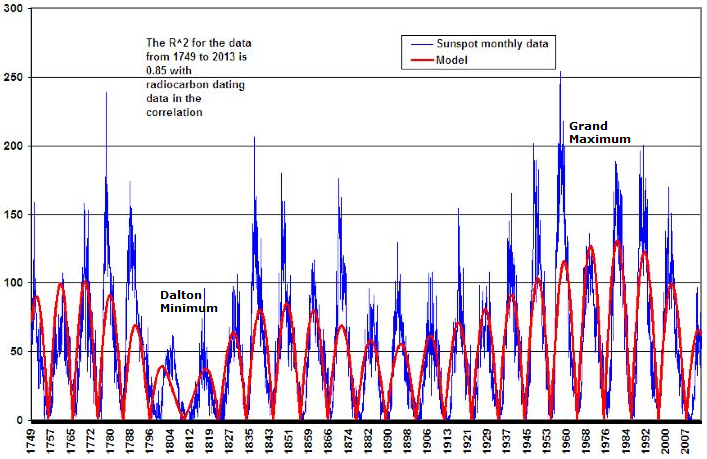 Solar cycle 16 had a sting its tail with a final surge in sunspots from September to December 1929. As this rather fits with the declines than the final run up in prices, I don’t think it’s relevant as a cause of the last leg up. I would summarise that stocks are on borrowed time since the solar max of mid-2014. Breadth, volatility (inverted) and various risk measures all peaked out then. Buybacks also peaked out around then, leaving leverage as the key driver. This kind of anomalous extension post solar max was only seen before in 1929. Given most things in the world are now ‘bigger, better, faster, more’ than back in the 1920s, what’s to stop us blowing that reference point out of the water with an even dizzier anomaly now? Well, I would argue that in the context of negative demographic trends we already have. A common historic technical topping pattern looks like this. 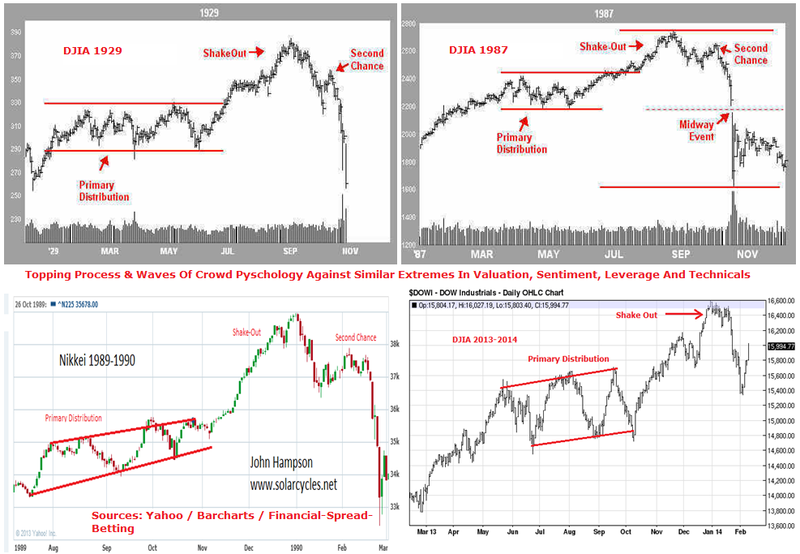 Bottom right is a chart from last year when it appeared to have formed into early 2014, but was a red herring. Drawing together several indices from around the world we could argue it is there again, with the primary distribution across last year and the final leg up in 2015. Or we could argue the final leg needs to go higher yet, or has to happen yet on the main US indices. Not easy to call. So if we stick to what we know, I suggest it’s this. 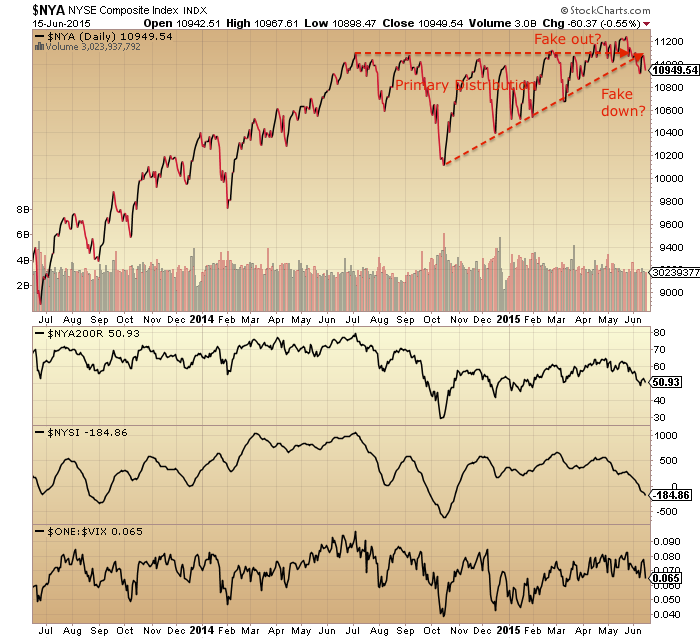 Stocks are on borrowed time since mid-2014 as divergences continue to grow. The geomagnetic downtrend from July to October 2015 together with the post-solar-max downward pressure has a strong chance of killing the bull. The two things to watch are these. Can prices be bid back up into the 2015 range and out of the top? If so, a final leg up would gain weight. And can leverage keep rising? It needs to, if another leg up is to happen. Let’s now draw in the solar cycle. 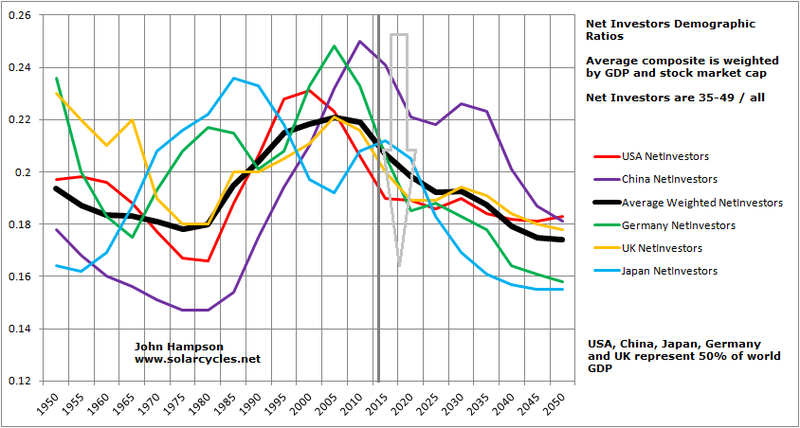 Here are US equity valuations by Q ratio versus solar maxima over the last century. A relation becomes apparent with secular lows and highs. We can see three that don’t fit so well. The 1929 stocks peak extended over a year beyond the SC16 peak, stocks sailed through the 1957 solar max and whilst the SC22 peak wasn’t so significant for US stocks it turned out the secular peak for the Nikkei. Now for the three secular ‘lows’ on the above chart (SC15, 18 and 21) we can cross reference to long term commodity prices and see that they instead marked secular highs in hard assets. Similarly, the secular stocks highs of SC23 and SC20 maxima marked secular commodities lows. Solar science reveals peaks in human excitement at solar maxima (e.g. clusters of war). In the financial markets this appears to translate as peaks in speculation (and in the economy in peak activity). Therefore, it appears that the asset in favour at the time is bid up to a secular peak and subsequent pop around the solar max (with the rare exception, as with any indicator or discipline). So what would make the favoured asset stocks rather than commodities or vice versa? The evidence suggests it is demographics, namely that secular = demographic. 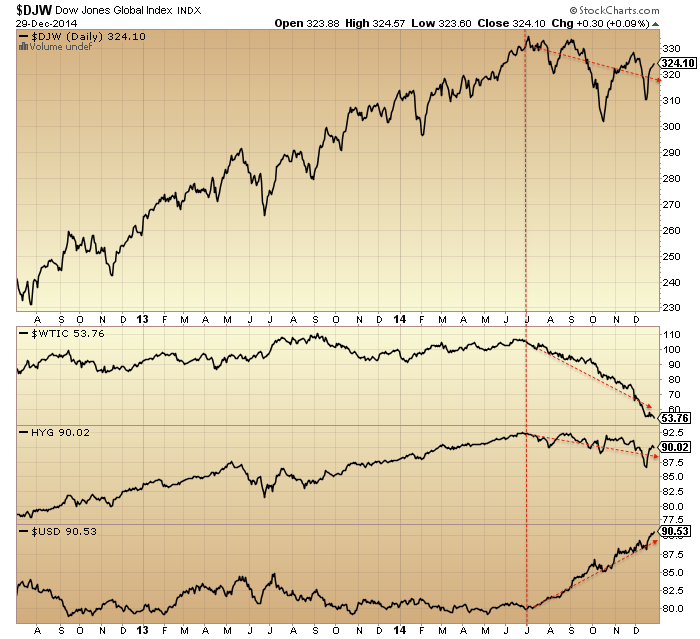 The chart below reveals equity valuations tracking US demographics and gold moving in opposite directions. Therefore we see a secular peak in gold at the demographic low and a secular peak in stocks at the demographic high. The picture is enhanced when we discover that solar cycles influence birth rates, which may account for why demographic peaks often tie in with solar peaks. 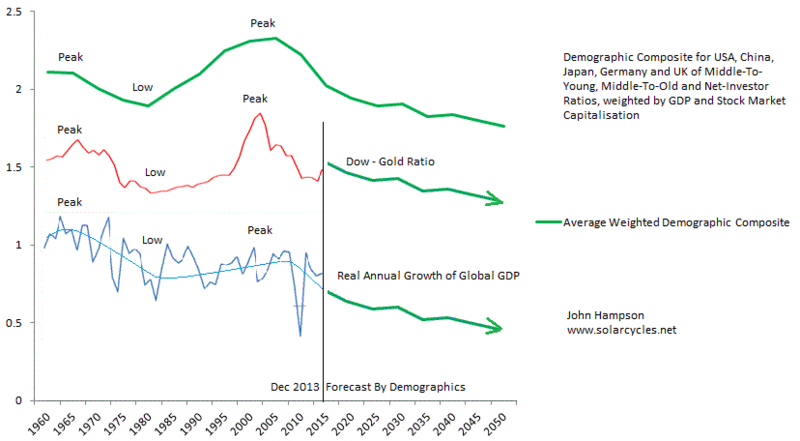 The chart below shows how Japanese demographics peaked out first in the late 1980s, which explains why Japanese equities made their secular peak at the 1989 solar max whilst other major nation stock markets continued to advance under positive demographics. The current relevance of the chart is that the global demographic composite is definitively negative, and this is echoed in other demographic variants. Together they spell recessionary and deflationary pressures, which we are seeing in reality. But they also should be sinking equities and launching gold, which we are not (currently) seeing. More on that shortly. 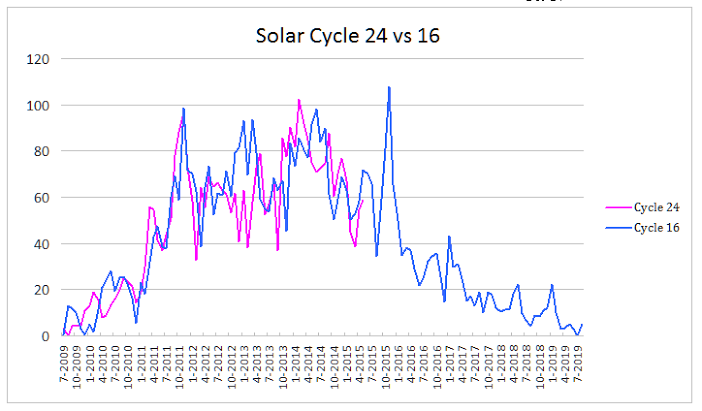 Solar cycles are long cycles, but armed with the above information we got the chance for a real time test with the SC24 max, which now appears to have been centred around April 2014 (smoothed max). Two things were anomalous about the SC24 max. It was lower intensity (less sunspots overall) and it took longer to form (including a higher second peak). The average duration between solar maxima is 11 years 1 month, but the SC24 max didn’t form until 14 years 1 month after the SC23 max, which makes it an outlier. Is this relevant? 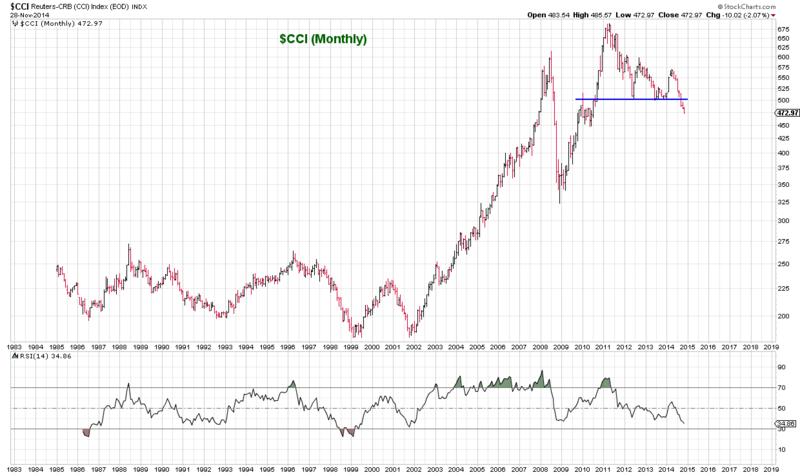 Well, a major commodities peak occurred in April 2011, exactly 11 years 1 month after the SC23 max. Tangent for a moment. Here is the influence of the lunar phase cycle on the markets: it makes for a fortnightly oscillation with distinct measurable returns over time. The most plausible explanation is the influence of nocturnal illumination levels on evolving humans. Yet, the influence is still present despite living under artificial lighting for several generations. Therefore it would appear to be hardcoded to some degree: we oscillate internally with the moon cycle, to some extent. Might the solar cycle also be to some degree hardcoded? If so, that could be a factor in the major speculative commodities peak (and associated major stocks low) in 2011, i.e. human excitement to some degree peaked into the anticipated/internalised solar max. 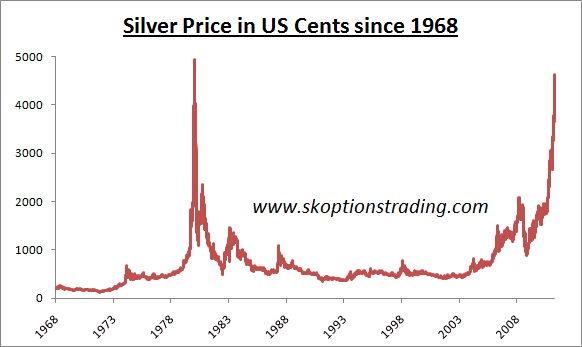 The case for that increases if we look at ‘leveraged’ commodity silver. The same kind of parabolic blow off as in 1980 occurred. It would make the secular commodities bull 2000-2011 a mirror of the 1968-1980 bull, namely one solar cycle in length and set against a secular stocks bear, and both in keeping with demographic trends of the time. The implication would then be that commodities are now in a secular bear and stocks are in a new secular bull. But let’s now look at the real experienced solar max of April 2014. From 2011 to 2014 stocks rallied strongly and since the start of 2013 displayed characteristics of a mania. A snapshot at April 2014 reveals many typical signs of a major market peak: extremes in valuation, sentiment, allocations and leverage; record negative earnings guidance and economic surprises all negative in the major nations; divergences in money flows and various risk-off measures; outperformance of defensive sectors and bonds; etc. At the time I gathered together 40 indicators all with different angles on a telltale top in stocks. Really, the evidence could not have been better for a speculative mania into the solar max. Indeed, by the end of March 2014 large speculators had amassed an all-time record long position in the CRB commodities index, suspiciously right at the solar max. 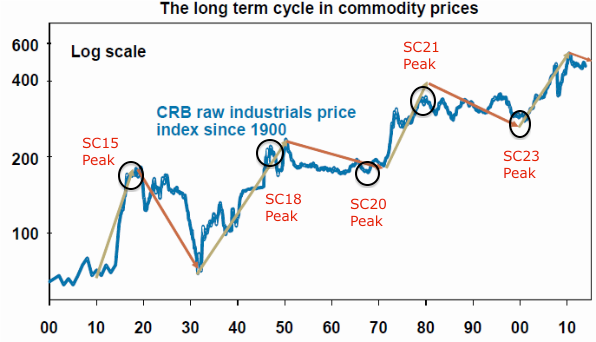 So we have a potential case here for commodities to have effectively made a double secular peak between the ‘average’ and ‘real’ solar maxima. But… things get more complicated when we look under the hood at equities. Stocks:dollar, stocks:bonds, volatility, breadth and various other measures not only resemble previous major peaks but occurred together very close to the real solar max. We are now waiting to see whether these will be repaired or whether nominal equity prices now fall in line. 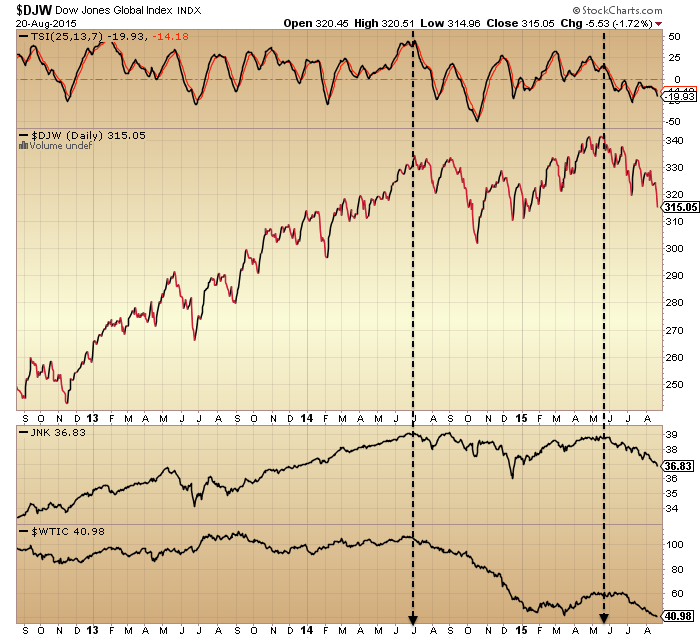 If the latter, then we have the evidence that speculation in equities peaked at the real solar max. At the same time, gold has been forming a technical bottom in recent months together supported by washout sentiment and allocation levels, which after a 4 year bear suggest it is ripe to break into a new bull. 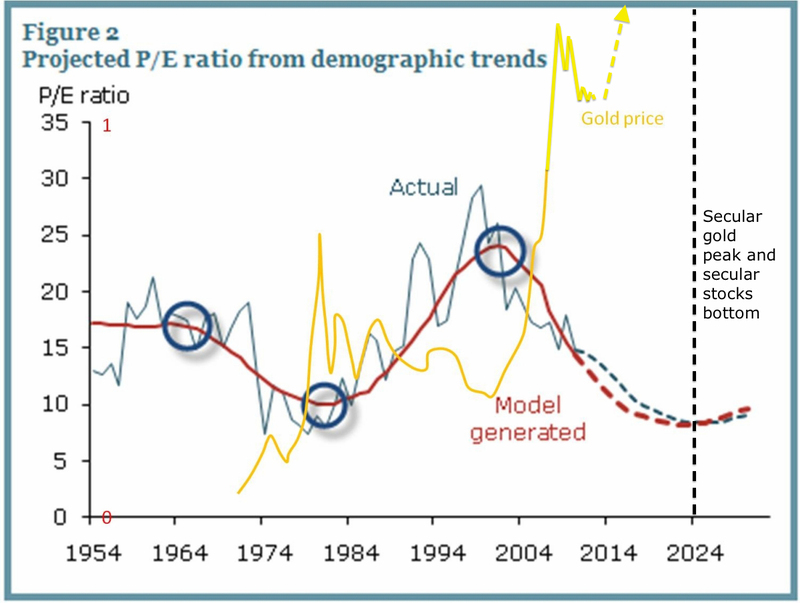 Which brings us back to demographic trends being aligned to stocks declining and gold rising: this angle on what happened would argue that the anomaly in hardcoded/real solar max produced a second speculative peak against demographic trends and in stocks, only for demographic trends to now reassert themselves (stocks complete the secular bear, as suggested in the last post, whilst gold goes to new highs). As alluded to in the last post, the closest fit historically to the current time was the peak of 1937: a solar maximum and speculative peak against a backdrop of low rates and easy conditions. Equities peaked out at high valuation (see Q ratio chart at top of page for SC17), following a front-running of prices to an expected return to normal growth that didn’t materialise. 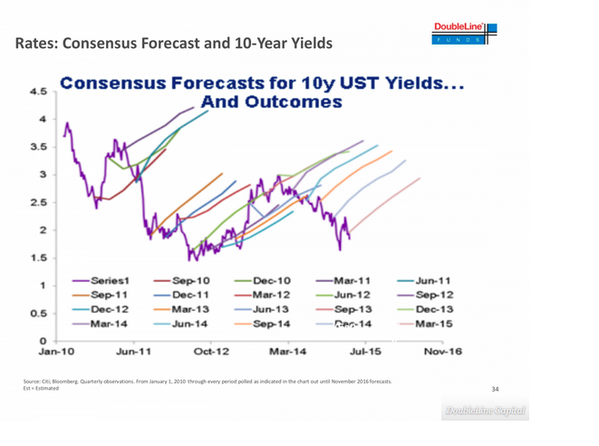 If there was any doubt this isn’t being repeated today, take a look at how analysts continually expected bond yields to rise over the last several years. Reality (demographics) has persistently denied them. 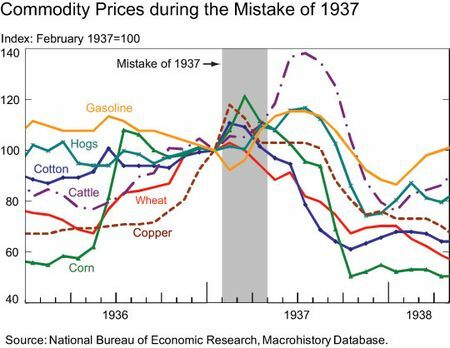 In 1937, both equities and commodities rallied into the solar max of April and both topped out around then, falling sharply for the next 12 months with both deflation and recession occurring. 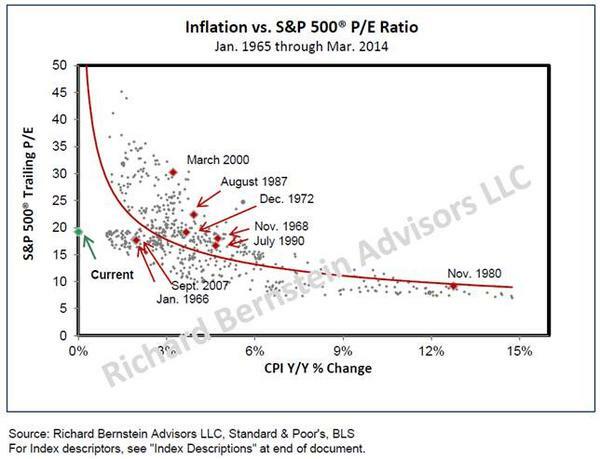 Stocks didn’t make a real (inflation adjusted or valuation) bottom until 5 years later. In summary, from all the topping indicators in equities, stocks should now break into a bear market, tipping the fragile world economy fully into both deflation and recession. There should be a feedback looping between the two, taking stocks down to much more appropriate washout valuation levels, whilst crises breed crises again in the economy. As in 1937, it should kick off under easy monetary conditions, limiting the toolkit of central banks, but also as then, central banks will likely resort to unorthodox (and probably ruthless) tactics. 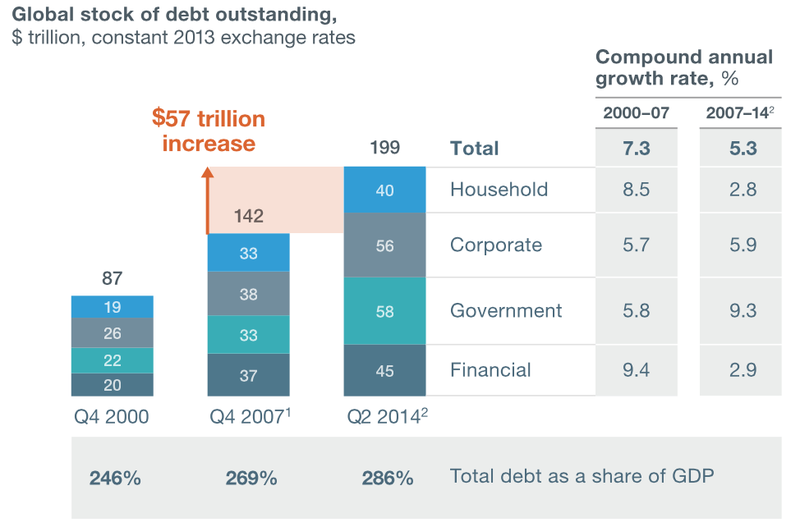 Systemic breakdown is a real risk again, with debt levels greater than in the Great Recession (hat tip Sinuhet). Commodities (particularly industrial) should sink again too, but likely for shorter and shallower (in line with demographic pressures, as per 1937, and understanding their existing slide since 2011). However, I expect gold to break away and rally as real money. 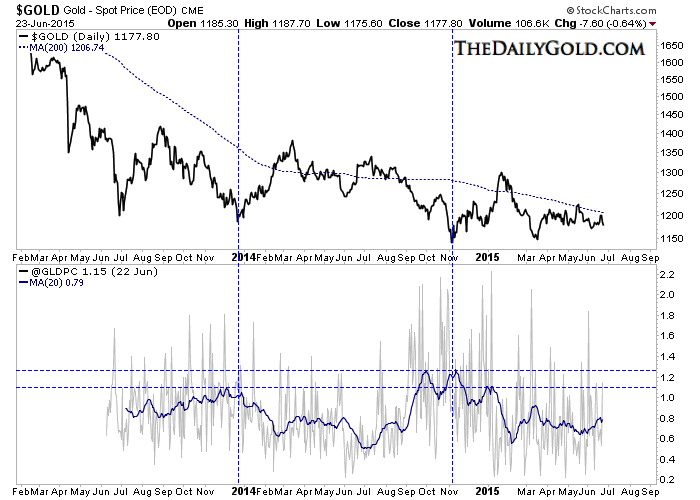 It’s not an easy call due to the limited history of gold free-floating and performing under deflationary conditions. But ultimately I maintain it is the anti-demographic ultimate safe haven, and should regain favour particularly as central banks are currently doing their best to corrupt the money mechanism with QE and ZIRP. If I’m wrong? Well, this is where we get to the ultimate conundrum. If stocks are instead in a new secular bull (and commodities made their secular peak in 2011, doubled down in 2014) then the appropriate investments/trades are really the opposite of if they are on the cusp of a new devastating bear in an ongoing secular bear. Long stocks and short gold versus short stocks and long gold. I have been able to make cases for both in the last two posts, but I have also shown the flaws in both. Ultimately it’s a game of probabilities. When all crunched together I see it as most likely that 40 topping indicators and an under-the-hood peak around the smoothed solar max of last year should produce an imminent meaningful correction in stocks unless those divergences start to be repaired. That would be the telling clue. Fitting with that I see gold’s technical basing as likely to produce a meaningful rally. From there I would expect to see serious troublespots emerging in the global economy (defaults, etc) and the meaningful correction in equities turn into a fully fledged bear. However, if the secular stocks bull scenario were to turn out true, then indicators should point to a recovery in equities before we hit such problems. I have to end on a sobering note. If we do see a global bear market and recession here, then the damage will be immense. 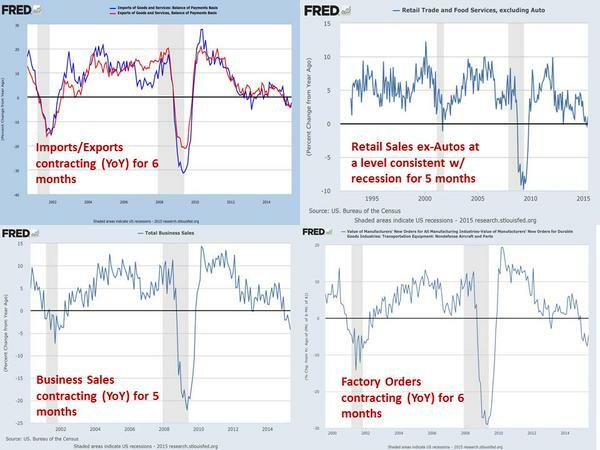 No capacity to reduce rates, QE proven to be a failure, record debt levels and increasing under deflation, and no demographic upturn in sight for some time. Accordingly, central bank response would have to get tough, such as penalising any saving, imposing capital flow controls or protectionism. The potential for civil unrest, war or systemic breakdown would increase. The outlook would be very uncertain but surely bleak for the majority of people for the period ahead. It would really be in mankind’s interest for the new secular stocks bull scenario to be true. 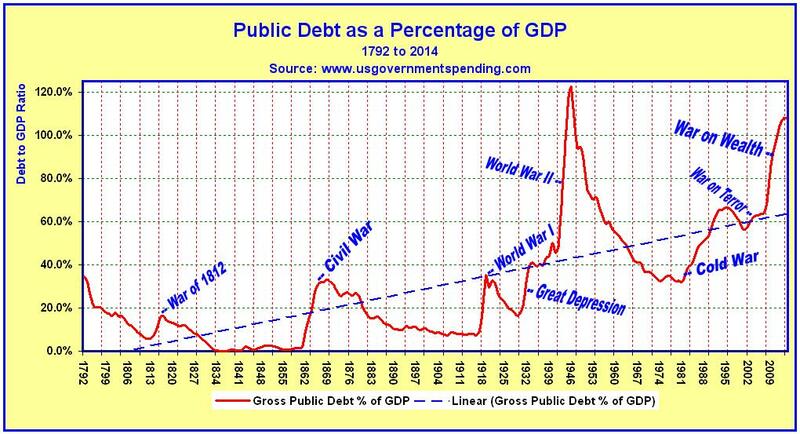 However, both the debt and demographic problems that we now face can both be traced back to the second world war. They have been a long time growing and attempts to conceal or water down their impact cannot go on indefinitely. Printing money to buy your own debt is normally the end game, so it’s not realistic to expect ‘muddle through’ can keep going. It comes down to the complications of gauging how the end game plays out. This is a complex time to trade the financial markets. We are trying to forecast against a backdrop of prolonged ultra low rates, collective quantitative easing programmes, united demographic downtrends and extreme debt levels amongst all the major nations. 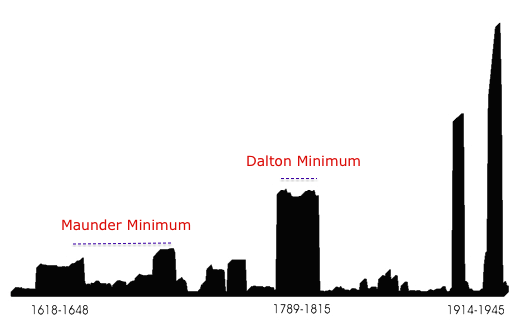 It would be generally inaccurate to say those factors are unprecedented, but they are rare historically. 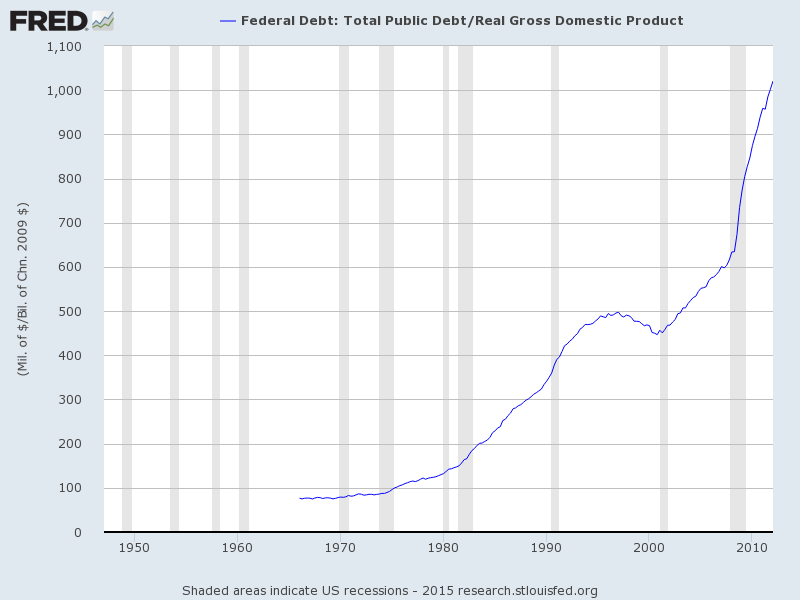 Debt to GDP levels, only like the Great Depression. 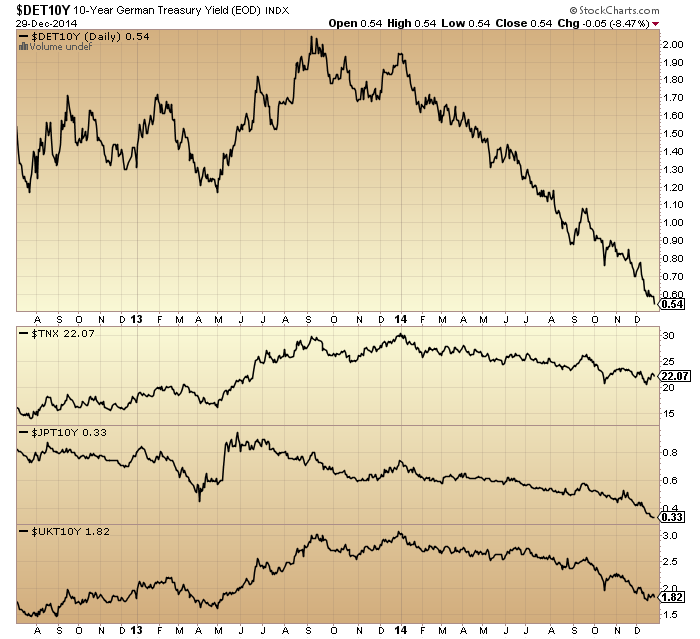 Prolonged ultra low interest rates not seen for 50 years. Demographics – here we are in fact making history with middle-to-old ratios, as never before has the world had such an old cohort influencing developments. 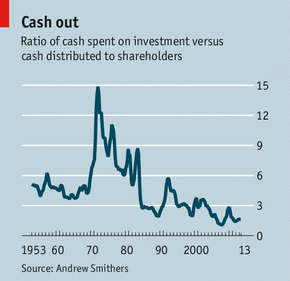 Quantitative easing: only seen in Japan the decade prior and in some form in 1930s US. Plus, we can add that we haven’t seen such low levels of inflation for 30 years. Looking longer back in time we saw a greater spectrum of ‘flation. We are seeing other historic extremes too. Aggregate stock market valuations only have the run into 2000 now for company. Leverage to GDP is at the same record extreme of the 2000 and 2007 peaks. US household exposure to equities was only beaten by the run into 2000 in the last 50 years. 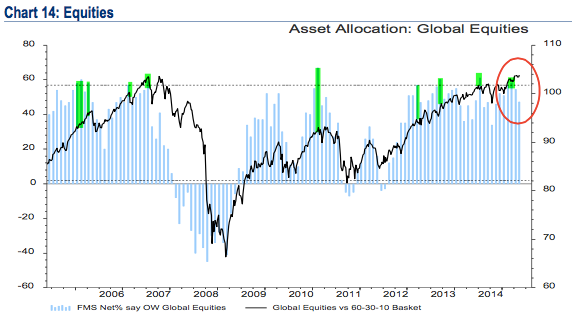 Fund manager allocations to global equities have been bumping up against equal record extremes. 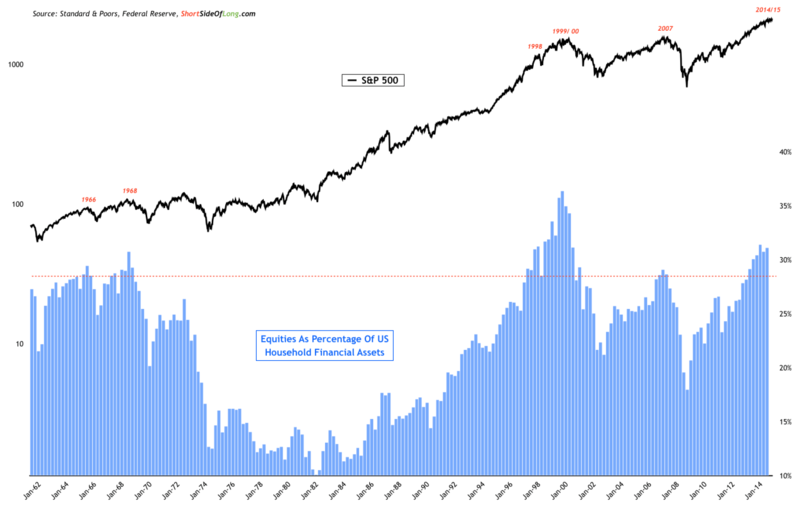 Sentiment towards equities has been record prolonged one-sided. Essentially, when we combine the economic/demographic environment with the financial market indicator extremes, we start to struggle for historical reference points, and therefore some kind of reliable probability calculation of where things are headed. But there is more to add in to the mix. High frequency alto trading has become much more dominant than it ever was. Markets are globalised – and instant – like never before. Some central banks are buying equities. Plus there are two complex areas where there is a lack of full understanding: dark pools and derivatives. Dark pools are notorious for their lack of transparency, whilst the nominal amount of world derivatives now stands at over $700 trillion (around 10 times nominal world GDP) which is clearly a major threat, but to what degree isn’t truly understood. So is the equity bull a new secular bull, as per the apparent breakout? The path designated by the arrow is the better fit with demographics and would also be historically normal from these extremes of valuation, leverage, allocations and sentiment. However, given conditions are relatively unprecedented and we are already seeing various indicators move out of historical ranges, we have to allow for something overall unprecedented. Perhaps we could argue that valuations will be disregarded as central banks expand their purchases and in so doing overcome the demographic headwind. However, if we assume they have stepped in as a new class of buyer, then why are leverage levels so high and going higher yet? The record leverage rather fits with the demographic trends and the shrinking volumes in the stock market, namely less buyers but on more credit. However, in turn, we could argue we might see leverage taken to a whole new level (as occurred in the 1990s), much higher than currently, under continued easy money conditions, before we see a collapse. Or we could see something that hasn’t happened before from these valuations, namely that the ‘earnings’ part of the p/e catches up with price and we see all round economic improvement whist stocks tread water instead of being resolved by a bear market. Let me sum up. 1. Stock market price argues we are in a new secular bull. 2. Stock market indicators argue we are at a major peak, specifically a cyclical bull peak within an ongoing secular stocks bear. These two are incompatible. 3. The economic environment is closest to 1930s-40s US or the last 2 decades Japan, but when all factors are considered has no reliable historic precedent. This is unchartered territory. If the equities bull is to continue then history will be made, either by central bank purchase expansion, leverage ratcheted much higher under low rates, valuations/sentiment/allocations being reduced from these levels without a bear market, or some other unprecedented development. 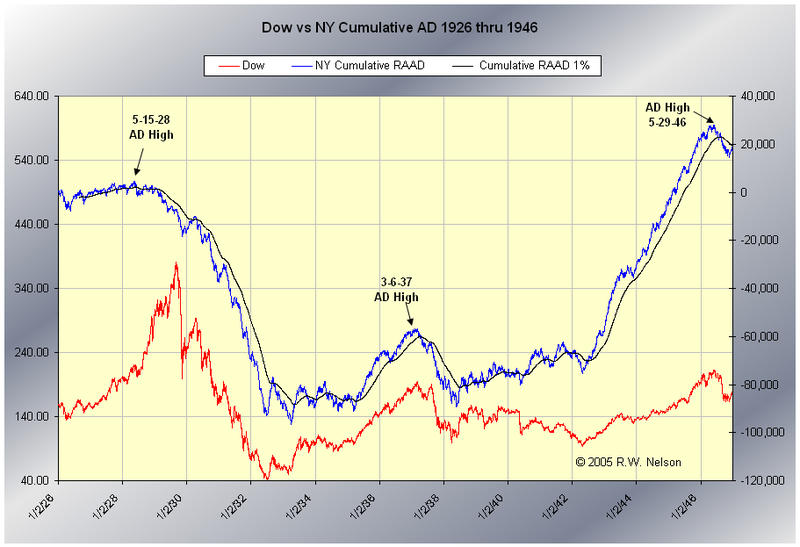 If a bear market is at hand, then this would fit with demographics and stock market indicator history, but would have limited historical precedent in occurring whilst rates and inflation are low, such as the 1937 stock market peak. I’m back and refreshed. Thanks for all the messages, and for all the comments in my absence. Here is the big picture. 1. Primary shift to defensives and away from risk occurred as of January 2014, as measured by stocks to bonds, cyclical to defensive sectors, small caps to all caps and high yield to treasury bonds. Clock ticking from that point. 2. Solar maximum looks to have occurred around April 2014, marking peak speculation. Equities mania on borrowed time thereafter. 3. Game over effective start of July. 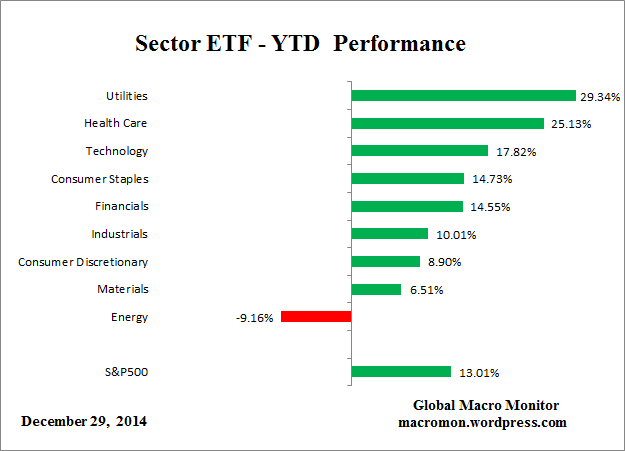 World equities, crude oil, high yield bonds and the US dollar all turned at that point. Deflation in charge. 4. US equities composite, breadth measures and volatility all show the same reversal at the same point: start of July. 6. Which sets us up for a final peak at the end of Dec 2014 / start of Jan 2015 for those remaining stock indices which have yet to top. I referred to this as my worst case scenario (latest peak) in 2014. 7. Developments in December support this now happening: sharpening falls in crude and government bond yields, flattening of yield curves, blow-off top in equities allocations. 8. 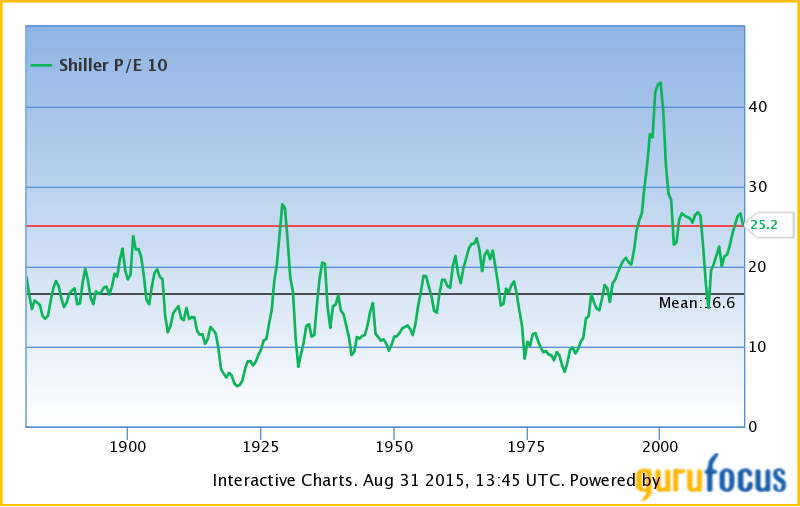 A new bear market in stocks will be a cyclical bear within an ongoing secular bear market. 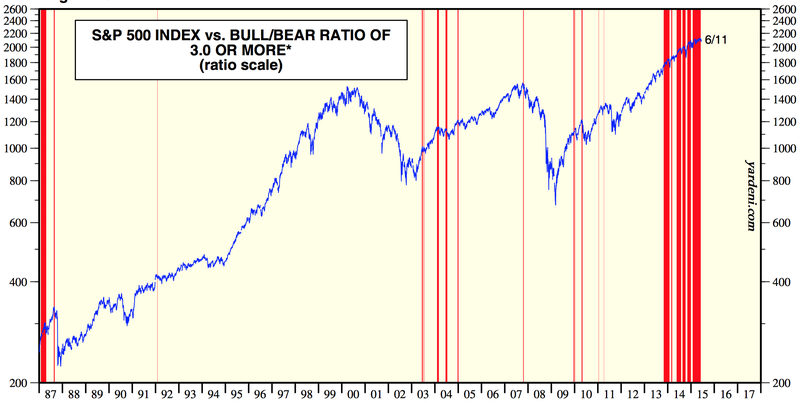 No new secular bull market as many believe. 9. This secular position is dictated by demographics. 10. The other play from this is that gold should enter a new cyclical bull within an ongoing secular bull, and this is supported by recent signals such as miners:gold ratio, gold/miners sentiment and price basing patterns. 11. A sampling of stock indices from around the world, below, shows 2014 has been clearly either a large topping process or a large consolidation range. If the latter, then we should have seen excesses in valuations, sentiment, allocations and leverage worked off with time rather than price, yet all those measures remain highly stretched, suggesting this is a topping process. 13. The peak-to-date in margin debt remains close to the solar maximum. This leverage, along with major extremes in sentiment, allocations, tail-risk, valuations and our post-solar-maximum status, is the set-up for a market crash. To repeat what I have said before, until/unless these measures are reset without a crash, then history dictates that is the most likely outcome. Crashes don’t occur often, but when they do, the set-up looks like the current. 14. 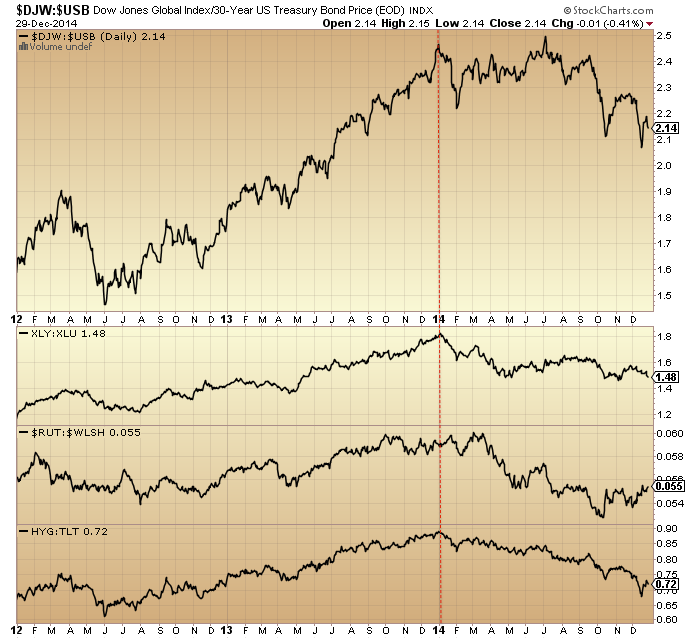 Leading indicators and the longer term stocks:bonds ratio resemble 2000, 2007 or 2011, suggesting a minimum 19% drop in equities. This is the percentage figure I quoted as my general target for short positions because, stretching the view to the last 100 years, this is the minimum we should expect without being greedy by aggregating various angles on the market. To be clear though, the set-up is compelling for a bear market, not just a sharp correction, so I refer you to the secular bear chart above for the bigger projection. So what caused this? The most common view is that central banks brought this about with their policies of ZIRP and QE and unwavering verbal support. However, I maintain that ‘central bank policy trumps all’ was rather the mantra for this solar maximum mania than the driver. To prove this, we should now see equities collapse and gold rise despite central banks, and that is the final part of the real time test for the power of the solar maximum. If I am incorrect, then equities should continue their bull market in 2015 as central banks policies overrule. However, I refer you back to all the topping indicators and angles in equities that have amassed, together with the examples of 1930s US and 1990s Japan which revealed central banks’ true relative impotence. Ask yourself if typing numbers into a computer (ZIRP and QE) and saying a few soothing words can really work. The crazy stretching of indicators delivered this year made for the most difficult year of trading since 2000, the last solar maximum. So if I can make one prediction for 2015, it is that it will be easier and more predictable. I am short equities and long gold and expect patience to be finally rewarded. I wish you all the best for the coming year. On a longer term view, these all fit together, and understanding their relationships can help us predict what’s coming. 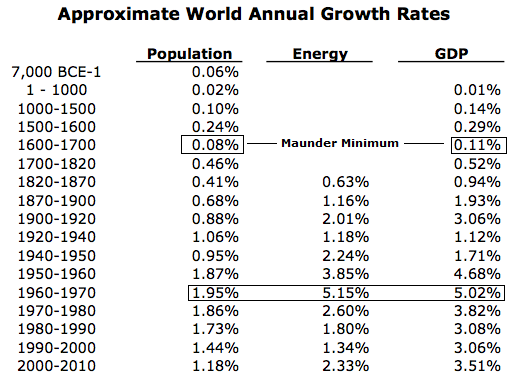 So, broadly speaking, the grand solar minima have equated to war, low GDP growth and low population growth, whilst the recent grand solar maximum was the opposite. Benjamin Friedman established the correlation throughout history of declining economic growth giving rise to war. Extremists are brought to power under economic suffering. Revolutions occur when people are struggling (most recently, the Arab uprisings when food prices had risen to price people out of the basics). The end of that double great war period gave rise to a global baby boom that produced a young adult price-inflation swell in the 1970s then a middle-aged stock market boom swell between 1980 and 2010 (phased across individual countries). 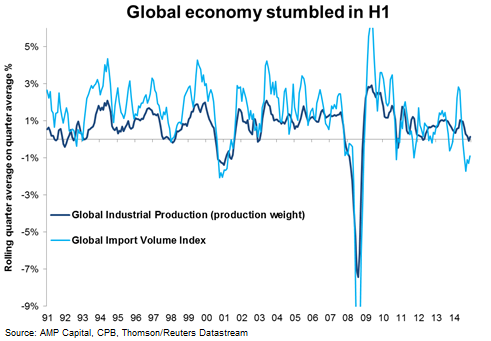 Global GDP growth is struggling and should do so for an extended period, and stock markets should suffer likewise. Meanwhile, solar scientists predict that we are tipping into a new grand solar minimum. The predicted low GDP growth above fits with the grand solar minimum predicted below, making for a compelling cross-reference. The resultant long rising debt trend means more productive receipts have to be spent on servicing the debt, which crimps the economy beyond that of demographics. The end game for debt is QE. Printing money to buy your own debt is the policy of last resort. The only way out of this is if demographics point to much higher receipts ahead, but in fact they show the opposite. Drawing all these relationships together, the outlook is grim. The next couple of decades will be characterised by low global GDP (as written in demographics), which puts the world at risk of war (at both national and international levels). The debt situation threatens to accelerate out of control in certain countries (Japan is at highest risk) as central banks offset even lower GDP and potentially have to pay for war additionally. 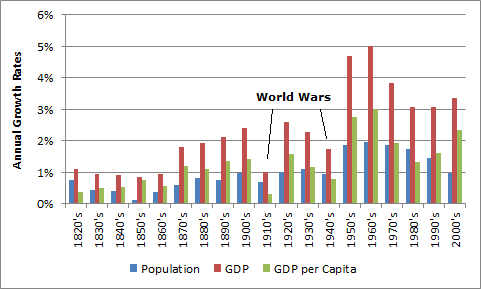 Major war would cut both GDP and overall population further, making for even greater per capita debt burdens. These are the major themes. The specifics by country and by timeline are more difficult to predict. But at the global level, the negative feedback looping between solar, population, GDP, debt and war, suggest the crunch is unstoppable for the world. Eventually, these interconnected phenomena will turn into a positive feedback looping. Out of the ashes of a grand solar minimum with a purge of population, the devastation of war and bankruptcies should come a new solar normal with another baby boom and some anticipated revolutions in systems and organisation (financial, economic, social). True new ways of doing things only occur when circumstances force. Set against the bleak outlook of the next couple of decades is the continued parabolic rise of technological evolution. Developments in nanotechnology, biotechnology, artificial intelligence, space exploration, geonengineering and renewable energy may produce paradigm shifts that assist with GDP and debt, and accordingly could ease the conditions for war. However, the negative feedback looping captured above extends its grip over this too, as corporate investment has been shrinking across the world in recent years, in accordance with lower economic demand and higher uncertainty. Declining levels of investment and R&D worsen the outlook for the future and add to the downward spiral. We could argue that the global secular bear in the economy and stock markets began in 2000 and that as yet we have avoided major war. 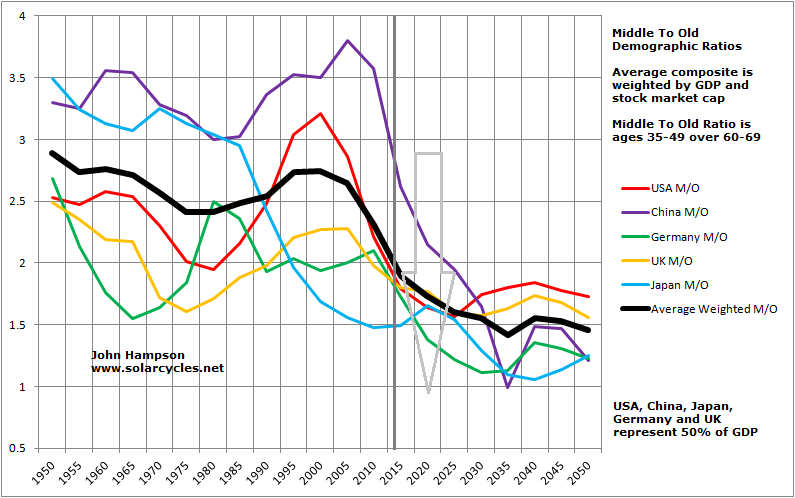 However, collective demographics have worsened since then, as Europe and China tipped over to join the US and Japan. With a comprehensive case for stock market peak here in 2014, the next leg down both in equities and the global economy should be the worse yet. To add to this, a large percentage of the population has seen little improvement in personal finance for some years (as the cyclical recovery since 2009 has been very unevenly distributed), which creates bubbling trouble. The situation in Ukraine and between Russia and the West may be a fruition of these themes. Economic troubles were a major factor in bringing about the revolutions in Ukraine. The sanctions against Russia are hurting both the Eurozone and Russian economies, which are already struggling, thus worsening the situation for both parties. Protectionism was a theme of the Great Depression, and is a self-defeating policy, but it will most likely increase here with the anticipated next leg down in the global economy and markets, as nations turn to helping themselves and trying to prevent domestic unrest. There is the risk that China and/or Russia sell chunks of their large US treasury holdings and destabilise global markets in a major way. Both countries have been increasing gold holdings in recent years. Indeed, ‘war’ could take a new form in this era of global, interconnected and instant: financial markets may be targeted, adding to the risks for traders. Putting such speculation aside, the trends in debt, demographics and solar variation combine to make a compelling case for a period of serious economic trouble. That period kicked off in 2000 but is now strengthening in intensity, and stock market indicators assess us to be on the verge of the next leg down, which should be the worst yet. The conditions for war are in place, and it seems fairly sure that trouble around the world will intensify. The question is to what degree and how matters unfold. The recent deterioration of relations between the West and Russia is an ominous development if we are now heading into a major breakdown in the markets and global economy at the end of 2014. Major international conflict is by no means certain, but if we were looking for the appropriate conditions for it, then they are in place.